restrictions on what to wear into an office environment. This look right here sums up what my alternative work wardrobe would be like if I had zero restrictions on what to wear into an office environment. One of the very few reasons why I look forward to the colder months is because I get to wear the colour navy endless amounts of times over and over again. Some folks prefer to live in black I on the other choose to live in Navy for most for the autumn/winter months. 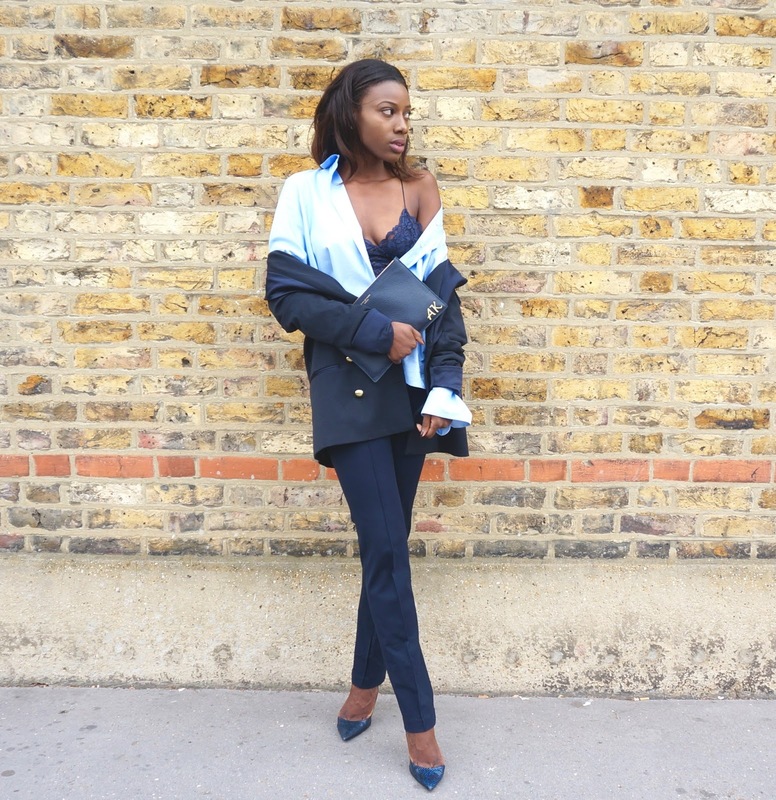 As such when I decided to create this alternative work wardrobe, it was only right that I opted for my favourite colour especially since the navy pieces make up the majority of my autumn/winter wardrobe and is considered a work appropriate colour for the working environment. The colour scheme and pieces worn are actuallly what I would consider to be work appropriate. However it is the manner in which I am wearing these pieces that creates that edge and alternative look that may be questionable for the corporate world. 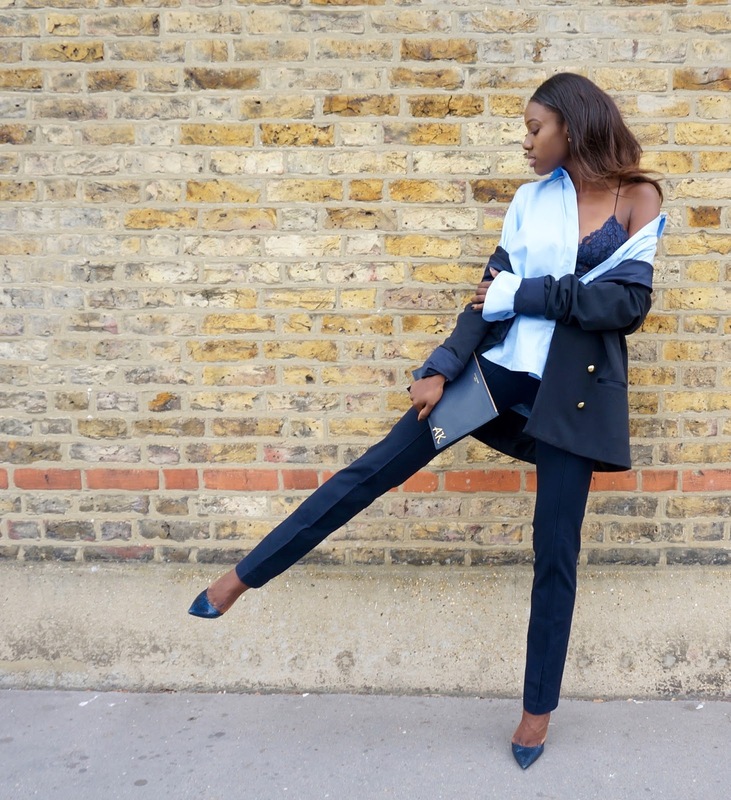 The alternative work wardrobe combines two autumn/winter trends, from the oversized shirt to wearing my blazer in an off the shoulder manner. 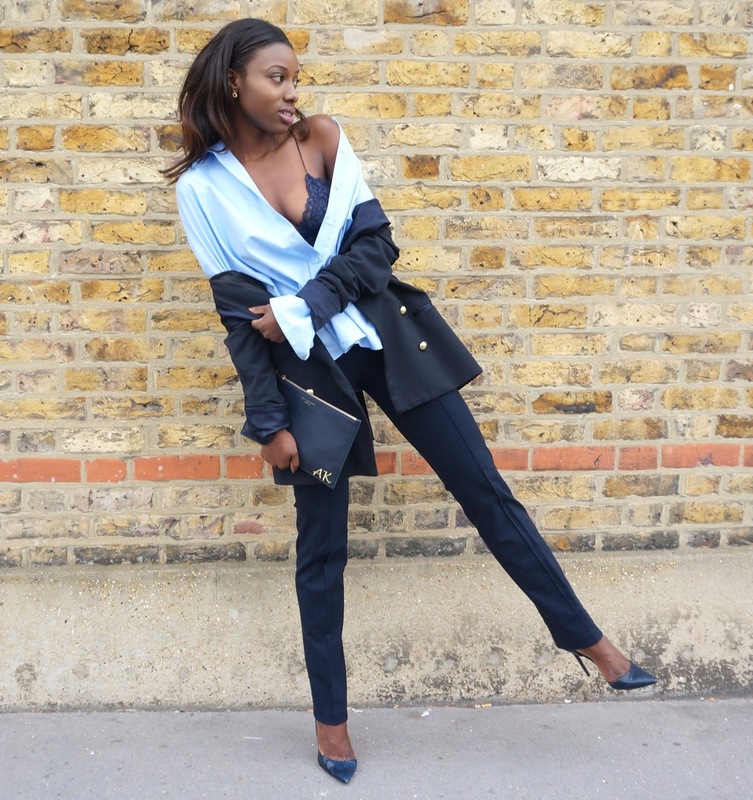 As I discussed in a previous video over on my youtube channel, the popular off the shoulder trend is now spilling over into how we now wear outerwear pieces and that is what inspired my decision to wear my blazer the way I have in the picture above. I guess it's one way to hold on to the off the shoulder trend that little bit longer as we are forced to layer up. Thoughts on the alternative workwear wardrobe?